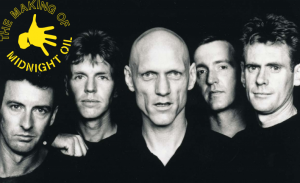 Midnight Oil is one of Australia’s most famous and influential bands of the last 40 years, with multiple chart topping, ARIA winning albums and singles. The band itself gained a lot of notoriety over its long history for its involvement in different spheres of global activism, beginning in the 80’s for their pro-Aboriginal rights efforts and their album “Diesel and Dust” which centred around a number of Aboriginal issues. In the 90’s they released “Blue Sky Mining”, this time choosing to speak about the issues of asbestos exposure following the Wittenoom Mine Tragedy which had caused the exposure of thousands of Australian citizens to lethal levels of Blue Asbestos, at levels almost a thousand times higher than occupationally regulated at the time – this led to many of the victims developing fatal diseases such as lung cancer and Mesothelioma, a rare form of cancer. 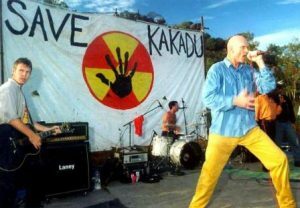 The band continued their politically fuelled writing throughout the 90’s and early 2000’s with their Albums “Earth and Sun and Moon” and “Breathe to Capricornia” before their official dissolution in 2002. The band has since reunited for several benefit shows. The incredible and rich history behind the band is fascinating, and it’s all on show until 20th November, exclusively at the Noosa Regional Galley, right here on the Sunshine Coast. The nationally acclaimed exhibition, ‘The Making of Midnight Oil’, celebrating the ‘power and the passion’ of one of the world’s most inspirational rock bands, Midnight Oil. Developed by Manly Art Gallery & Museum’s Ross Heathcote, in collaboration with Midnight Oil drummer Rob Hirst and with exhibition design by Wendy Osmond. 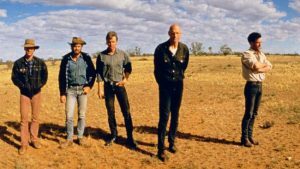 “The Making of Midnight Oil will examine the band’s impact on social and cultural history across a 40 year period. The exhibition will showcase rare and iconic items including stage props, instruments, protest banners, hand-written lyrics, photographs and posters sourced from public and private collections as well as the band’s own archives”. As part of the exhibition there will be guided tours and audio guided tours of the Gallery on offer – as well as a series of live interviews with Rob Hirst, covering topics such as Songwriting, Street Press, Activism, Rock Videos and Behind the Scenes of Midnight Oil. 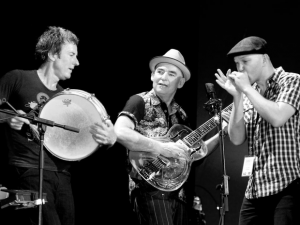 Tickets to these evenings, and the live performance by Hirst’s blues band ‘The Backsliders’, are available now through Moshtix, at the door or via phone – all details are available on the exhibition page on the Noosa Regional Gallery website.